Yoda: "One's collar MUST match the decor!" 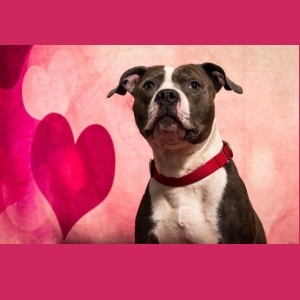 Yoda insisted on wearing a red collar to match the pink heart during his photoshoot! If youre looking for a stylish and super receptive dog - he's your boy! Along with graduating from the Paris School of Fashion, Yoda has had some service dog training, so he's fashionable AND attentive! This suave boy is 6 years old, not overly bouncy, a little shy at first, loves his blanket, but doesnt love other dogs. He does have some skin allergy issues for which he eats a prescription diet, but no meds. 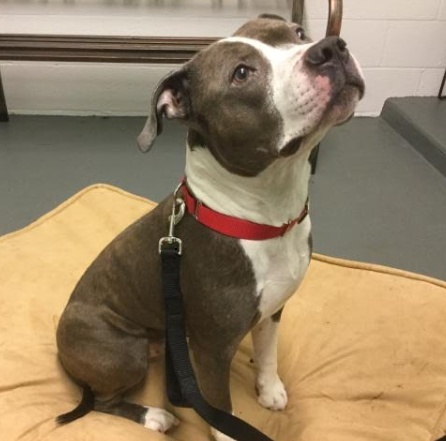 He's 60lbs of love just waiting to be YOURS! Foster or forever - he needs both.... You decide which works best and let us know! He's ready to roll!